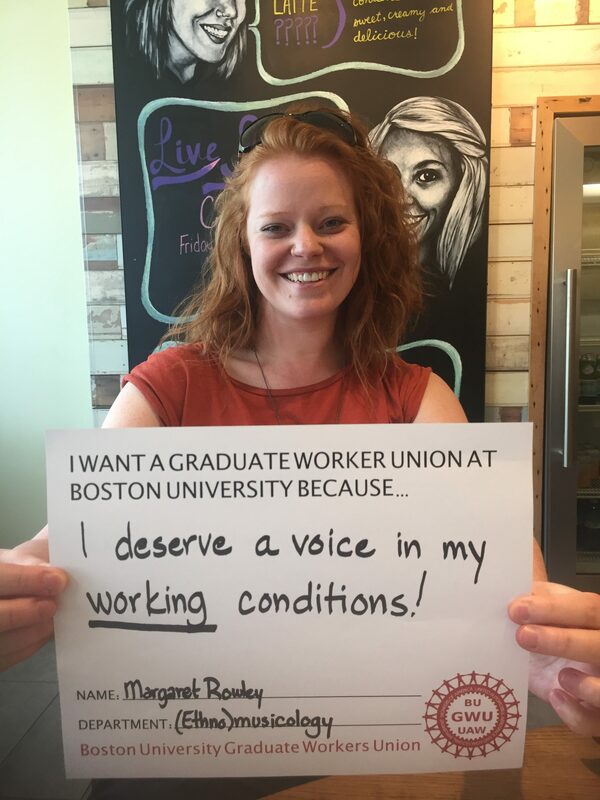 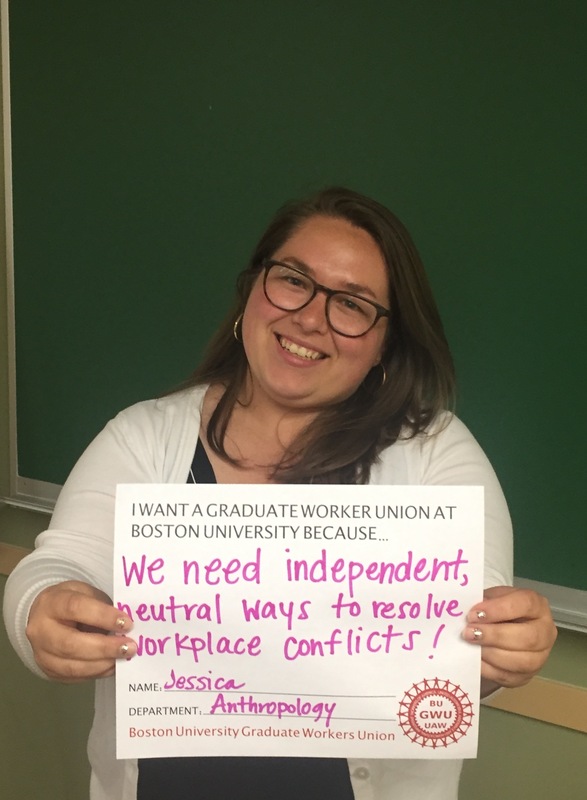 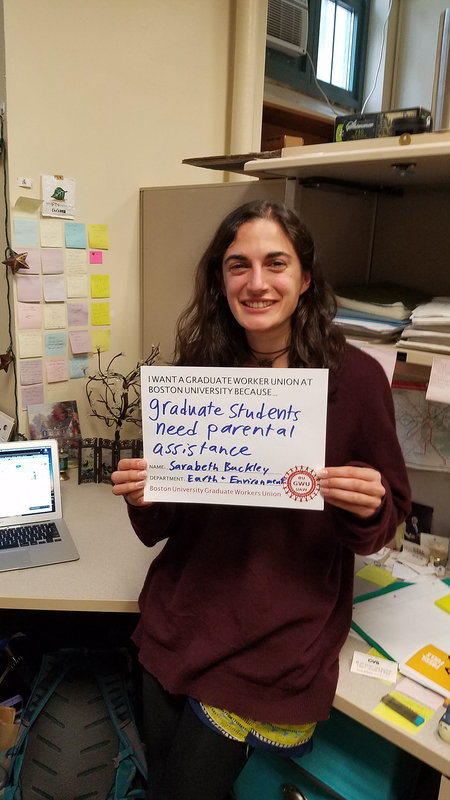 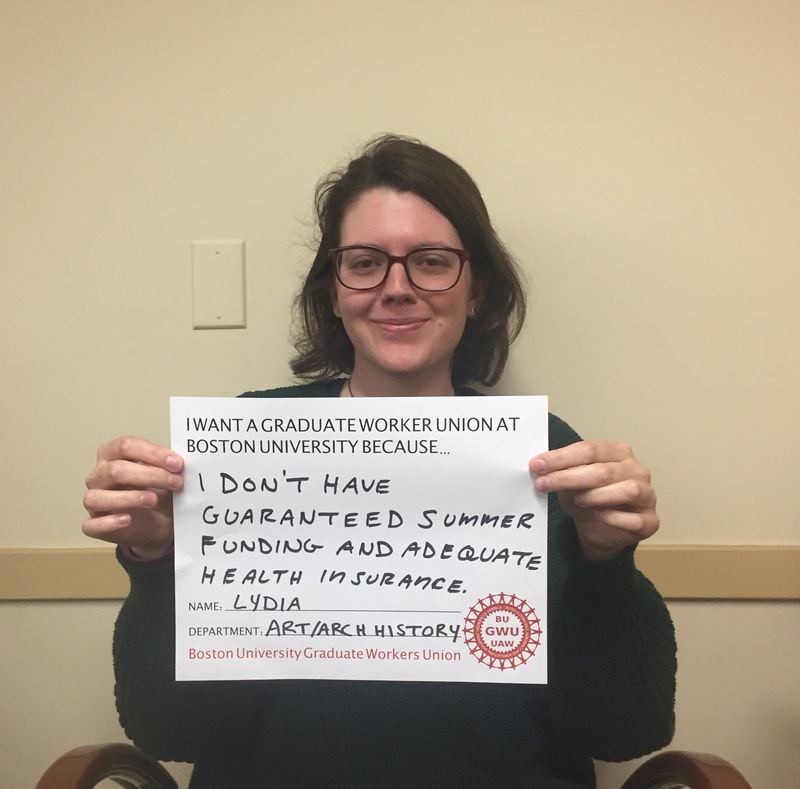 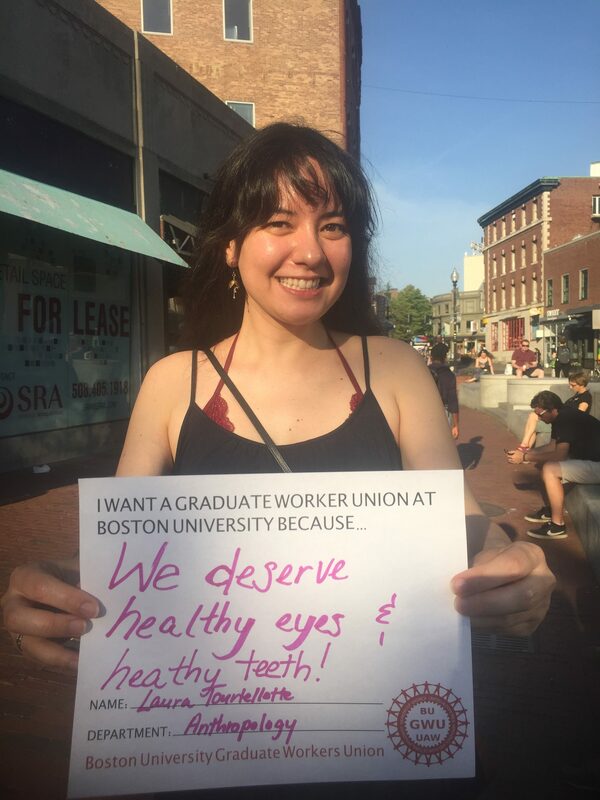 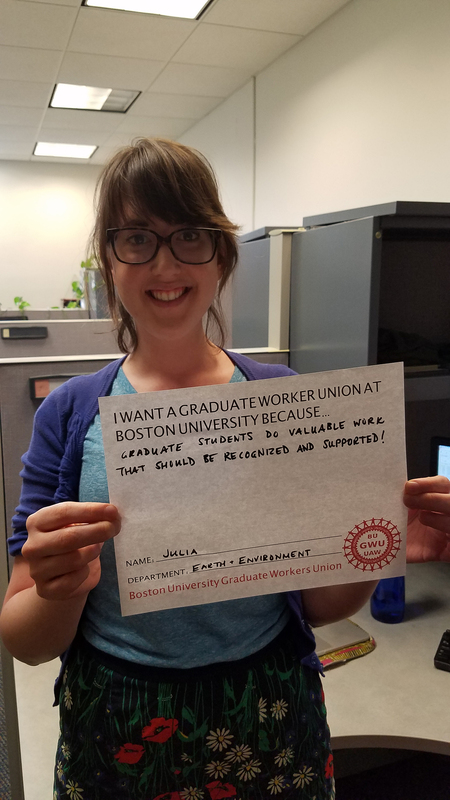 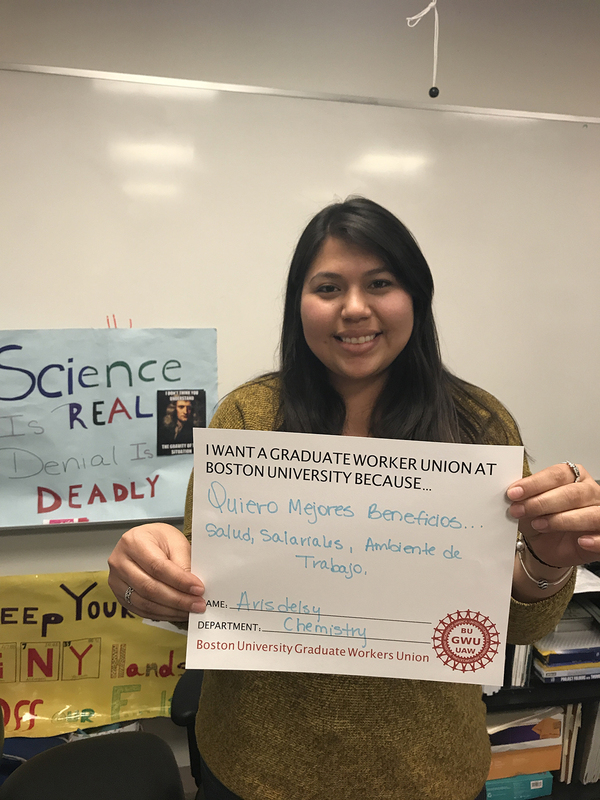 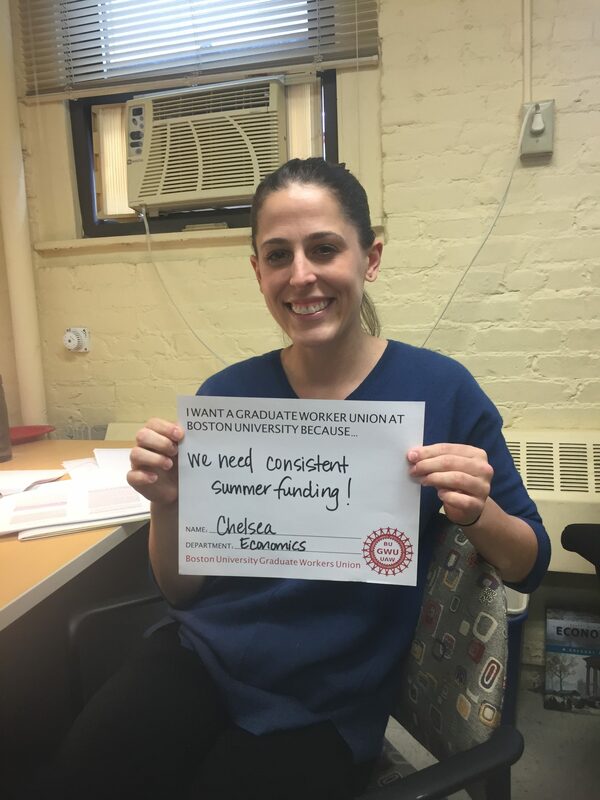 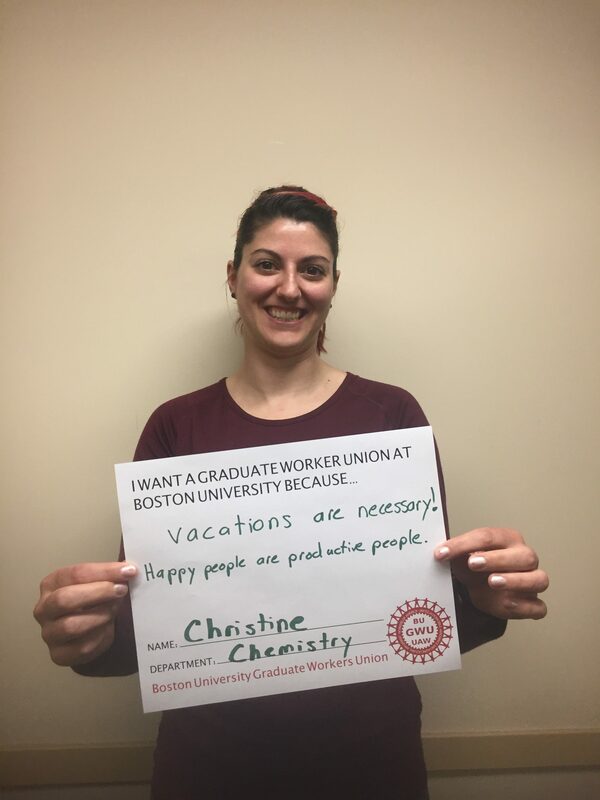 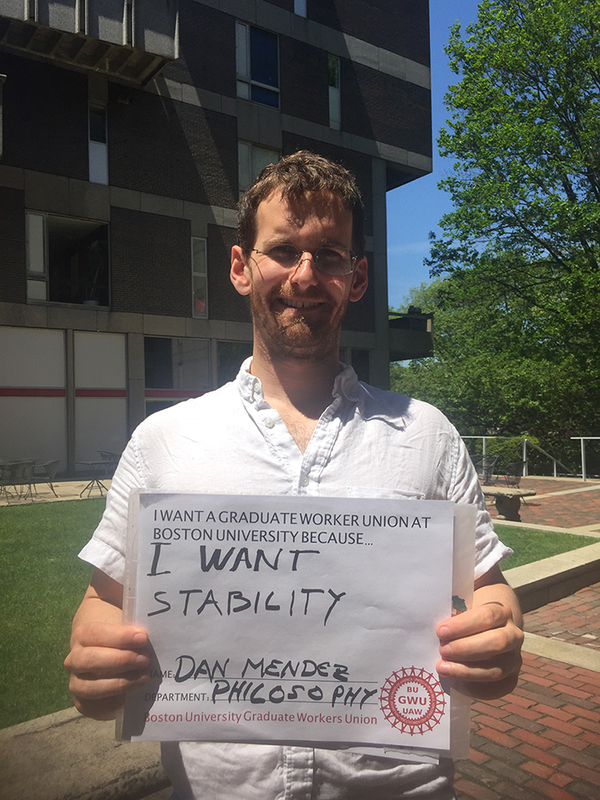 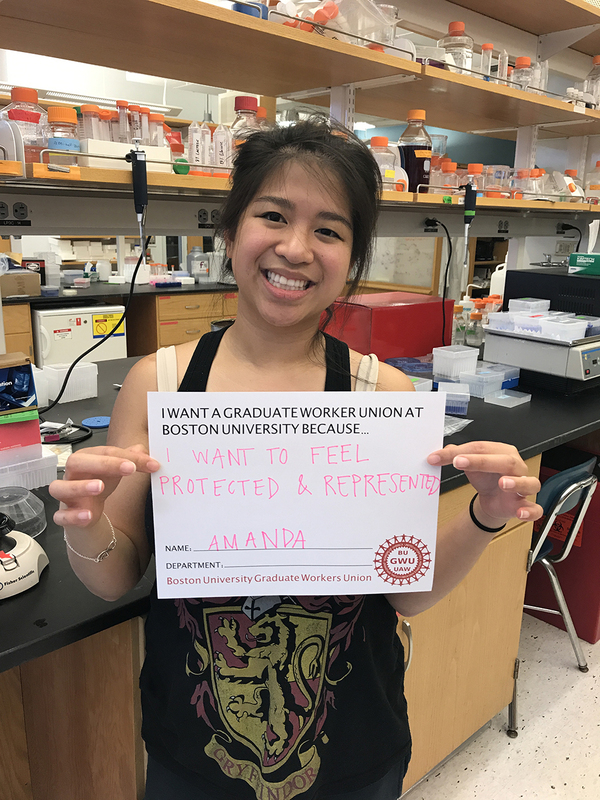 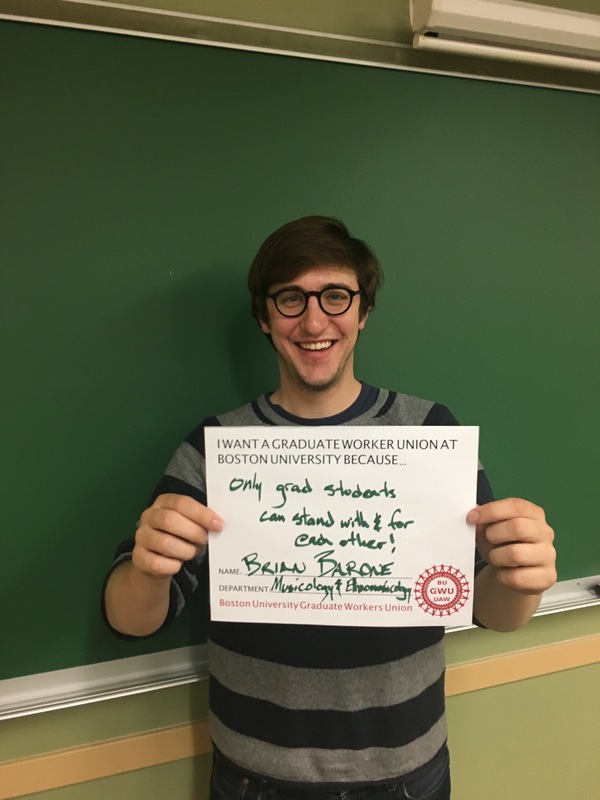 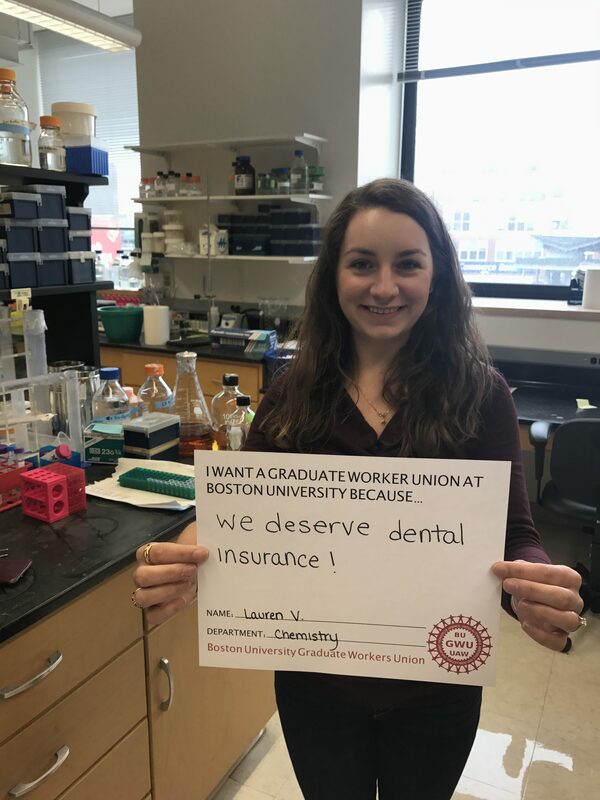 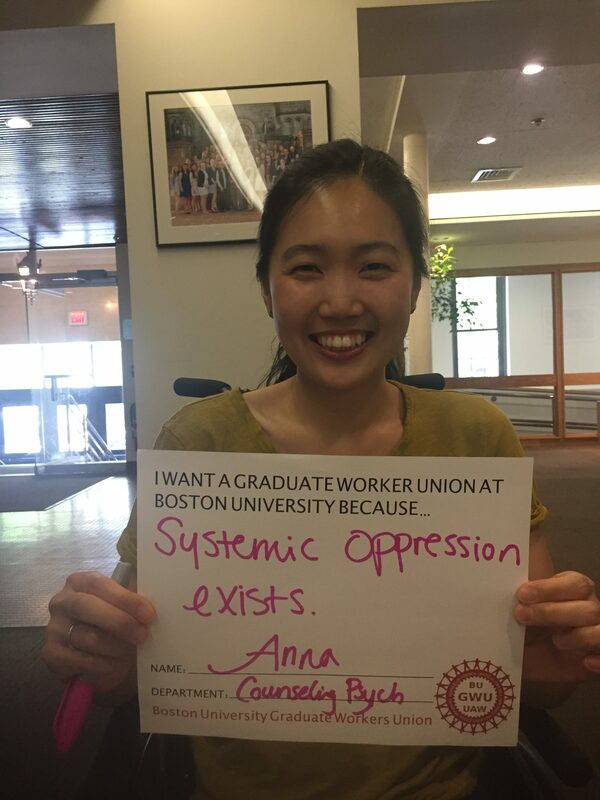 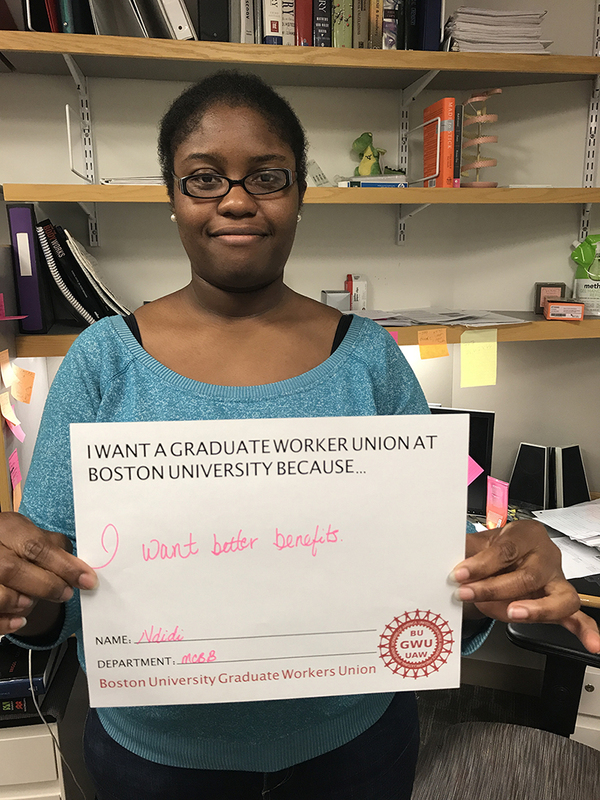 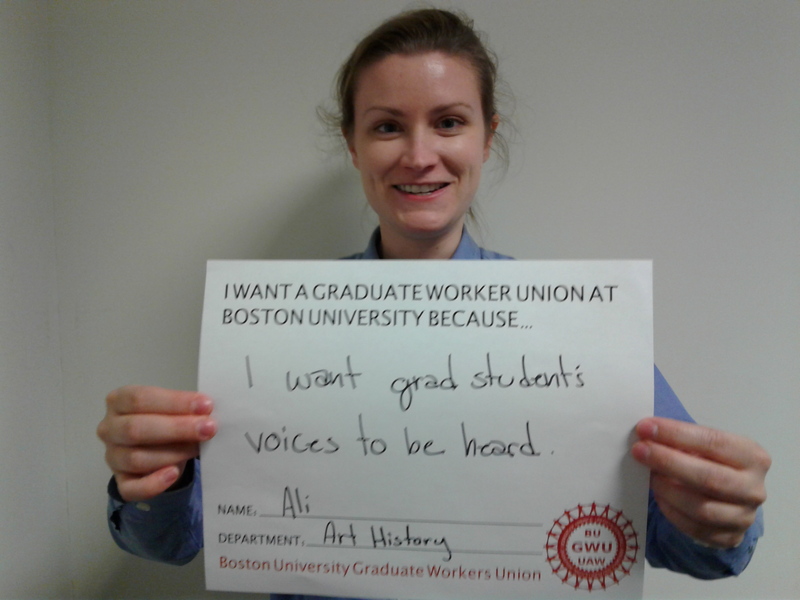 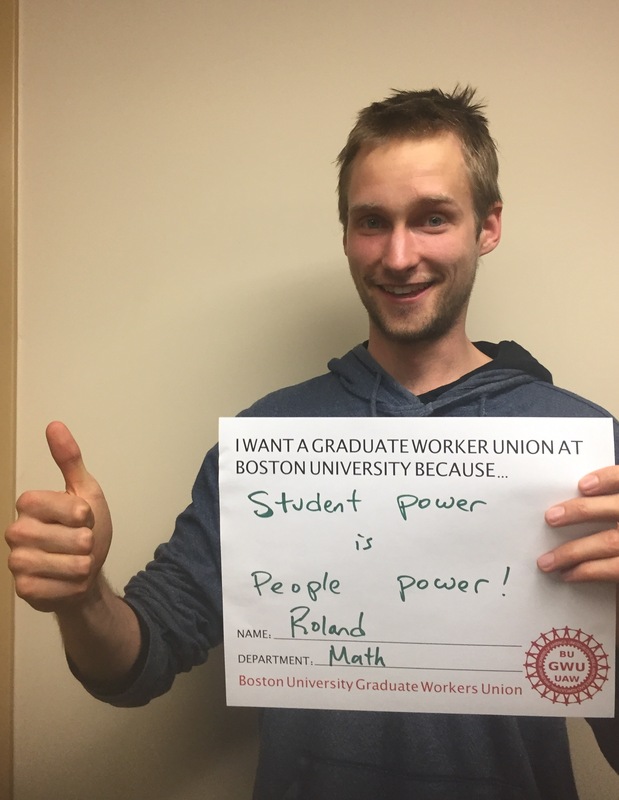 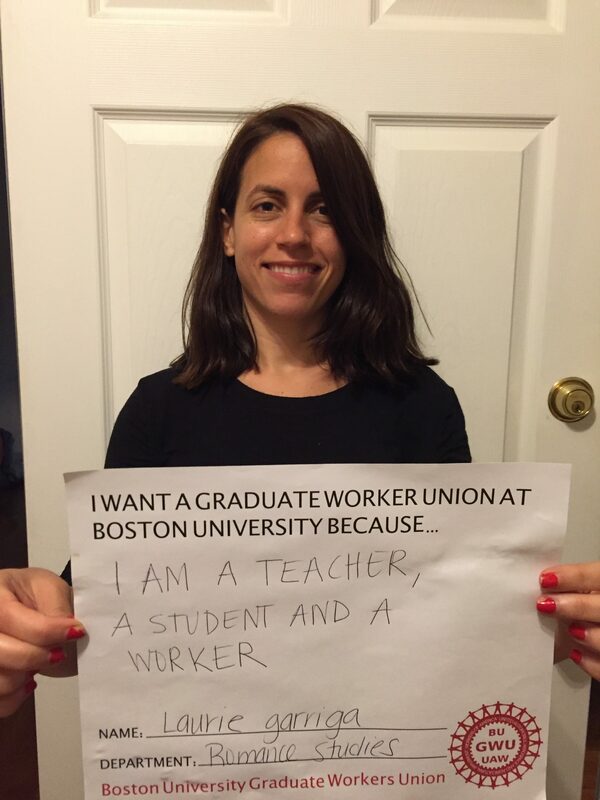 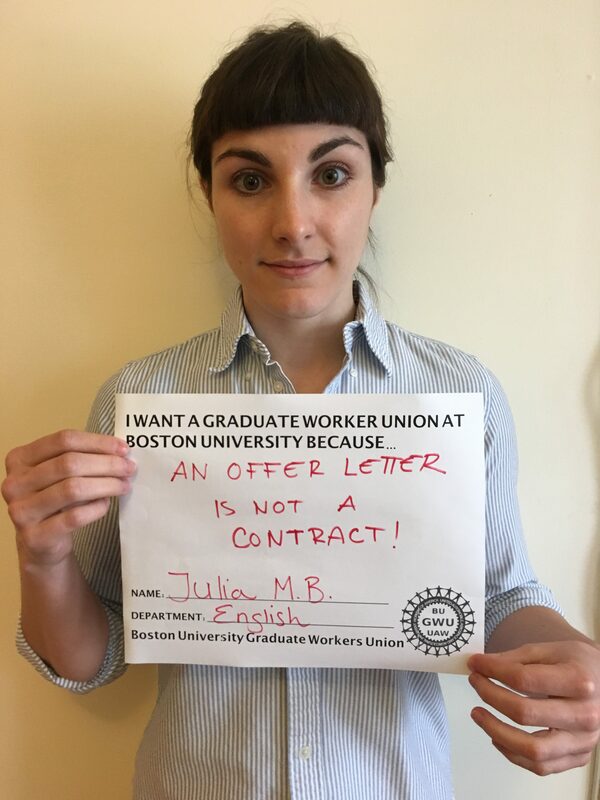 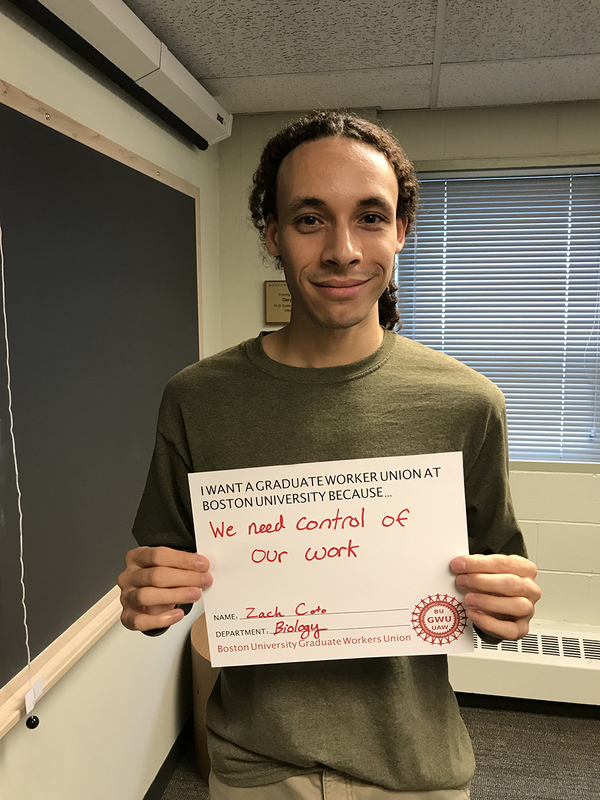 The Boston University Graduate Workers Union-UAW (BU Grad Union - BUGWU-UAW) is made up of graduate employees from across the university joined together in the common goal to make BU the best university it can be. 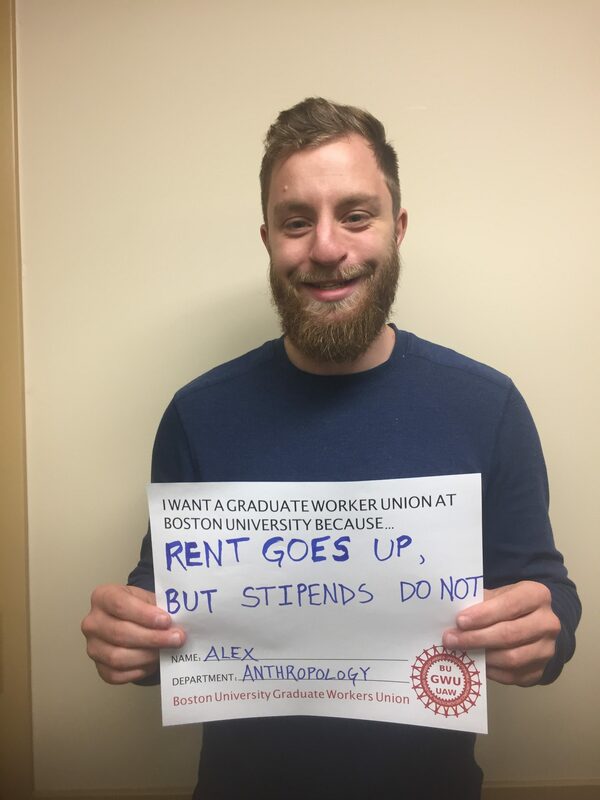 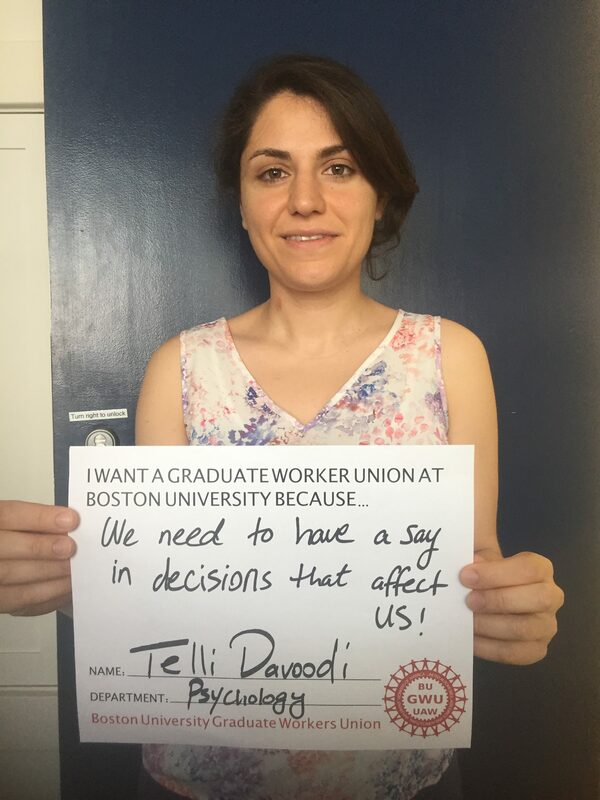 We stand together to advocate for the working rights of graduate employees at Boston University. 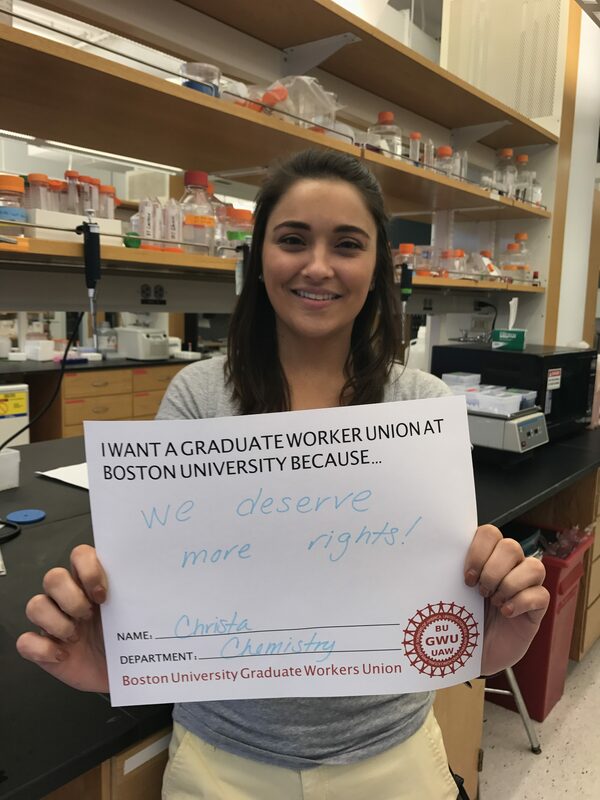 With a greater say in the conditions of our teaching and research, we will ensure our ability to work at the highest level and contribute to a more robust and democratic BU community. 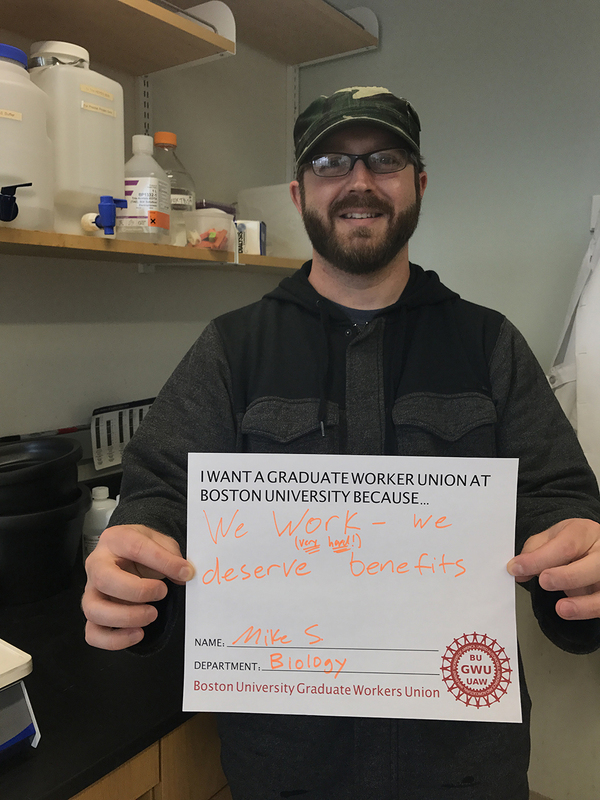 Once recognized, we will sit down with the BU administration and bargain as equals about our jobs, the effects they have on our lives, and the effects they have on our students. 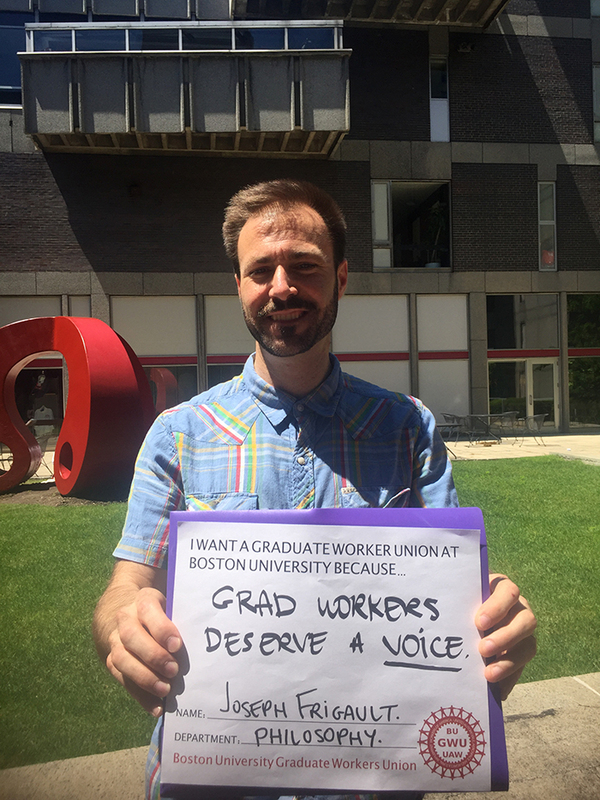 Collective bargaining can mitigate many of the precarious features of graduate employment and enable us to focus more on quality teaching and research. 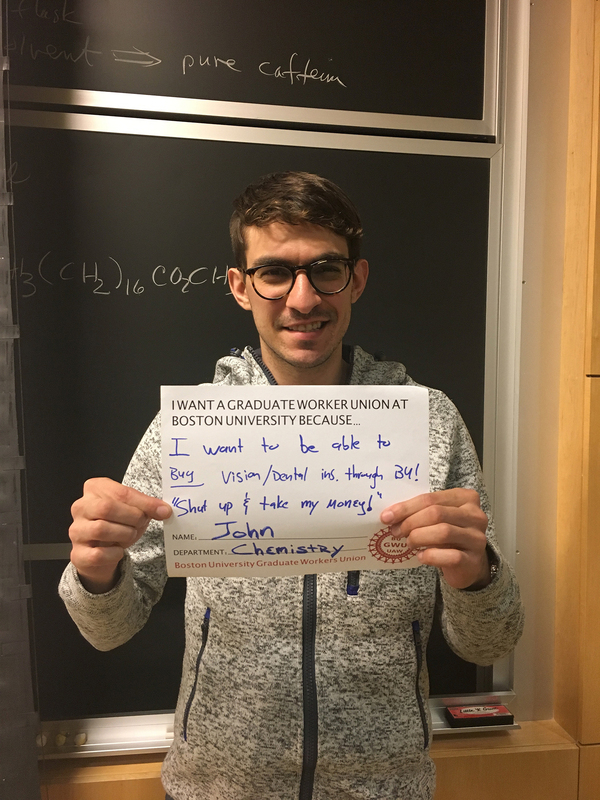 Click here to see our public supporters. 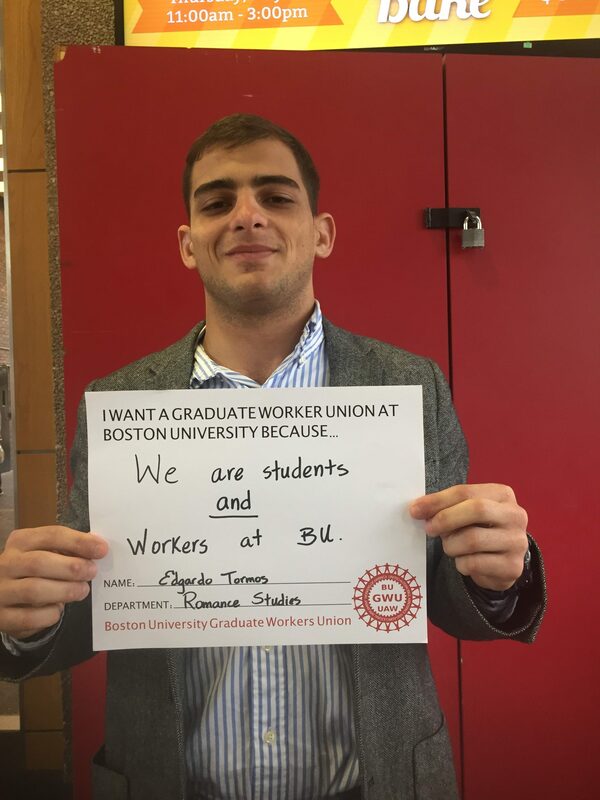 Want to learn more or get involved with BUGWU?